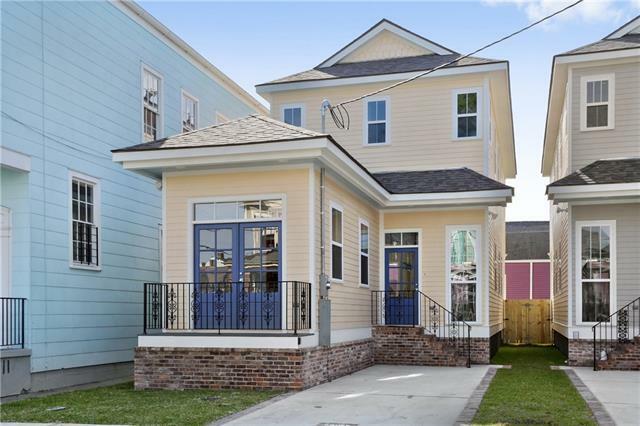 Beautiful new construction in great part of Mid-City. X flood zone. Located on a fantastic block, just steps away from the Canal streetcar and lots of great restaurants and shops. This is one of two new homes at 304 & 308 S Scott St. Both are 1,850 square feet with 3 beds / 2.5 baths. Tons of windows and natural light, gorgeous hardwood floors, marble counter tops in kitchen and bathrooms. Each home features private a driveway with space for two cars. Large back porch and yard are perfect for entertaining. Listing provided courtesy of Tim P Kingsmill of Beau Box Commercial Real Estate, L.L.C..